Welcome to JackpotCity's casino game guide where you will be able to learn and play all your favourite casino games online. Before choosing an online casino and playing online, it is good to learn and practise different games to be familiar with the wide selection of games that exists in todays online casinos. Both for the beginners as well as the more advanced players, JackpotCity tries their best to offer simple to understand, entertaining and valuable game guides for the most common and popular casino games. 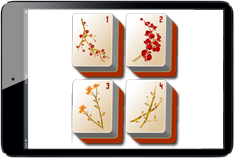 When you have learned how a game of your choise is played, you are able to practise this particular game in our wide selection of free games (2718 and counting...) which you can play directly in the browser here on the site. No need for any downloads, registration or money, - just load the games and practise within seconds! 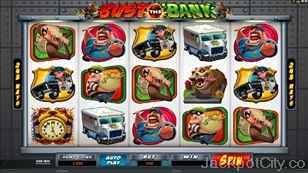 ► Follow this link to find all free casino games. 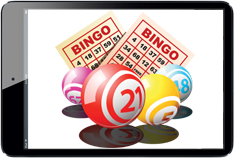 Bingo is an exciting, simple and popular game, often played by many people at once, - competing against eachother. Reading this guide, will give you a good start before playing online! 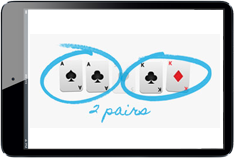 Learn how to play poker and texas hold'em with JackpotCity's easy-to-understand guide. Basics and more advanced tips and strategies as well as video tutorials. When you have completed this guide, you should be ready to join the poker rooms! Are you a fan of sports? Learn how to wager on your favourite sports including football, soccer, basketball, hockey etc. Reading about bets, valuable tips & watching videos will give you the info you need! Are you dreaming for that jackpot prize? 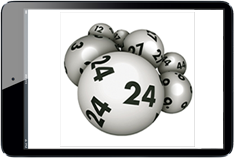 This guide will show you different lotto games and where to play them. Watch inspirational videos of lucky jackpot winners. Find your favourite lotto game! 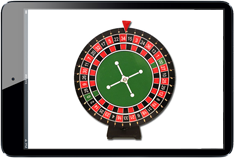 Roulette might be the easiest game to understand and play in the casino. Learn table bets and more advanced approaches using roulette systems. Completing this guide will give you a great start before playing roulette online! 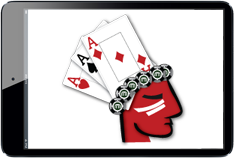 Comprehensive guide to blackjack covering everything a player needs to know before entering the blackjack tables. After completing this guide, you have learned much more than the basics! Like to win prizes instantly? Then scratch cards might be for you. 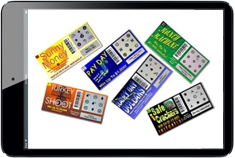 A guide to different scratch cards games and where to play them. Including generous bonuses. A guide including winners and locations to play at is a great starting point! Learn how to play the chinese game, Mahjong. Introducing the basics and tiles, - as well as a complete in-depth video tutorial. Understanding this guide will cover everything you need to know in order to master Mahjong! 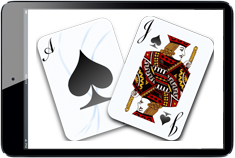 JackpotCity's guide of the popular American card game Gin Rummy. Learn the rules, card values and more advanced tips and strategies. This detailed manual will shown you how to play this entertaining game!